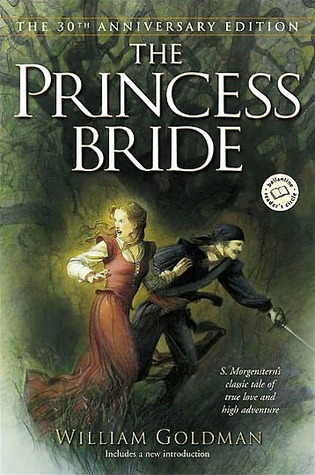 Pre The Princess Bride and Post The Princess Bride (yes, it was a novel before it was a film). 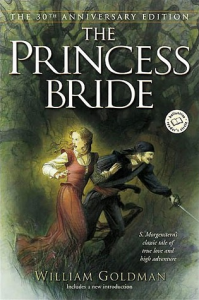 Reading The Princess Bride as a high school first-year moved me out of the YA section (though many reviewers on Goodreads classify the novel as Young Adult). 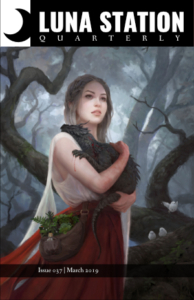 And while the female protagonist, Buttercup, has come to be one of my least favorite female characters, William Goldman’s novel offered me what my previous YA reads had not: a novel that was both dark and funny, both real and fantastic. As a personal preference, I prefer my media dark and gritty with a side of devastation. The Princess Bride might not be a good example of a gritty novel, but the villains torture the hero and kill him, and as readers, we’re not given the option to look away due to strategic page breaks. I had never read something so bold in my YA novels. Of course, the novel is a fantasy, but I fully believed (out of my own naivete) that the setting of Florin was a real country and that I could plan to visit one day. The YA novels I read were either realistic or fantastical, never both. And never dark enough for my tastes (I especially love dark political realism–the Hunger Games is a prime example). I read The Princess Bride and turned my back on the YA section. I’ve since developed an elitist attitude against YA novels and I’m working to break this mindset. Especially because I work in a high school and interact with young adults on a daily basis, I’m being exposed to all types of YA which is breaking barriers none of the YA I read ever did. There are so many female lead characters! There are so many queer story lines! As I continue to read books by women and seek out new favorite female characters, I’d love to hear your favorite YA recommendations. I have resources such as LSQ blogger KC on YA, and would love to hear more recommendations. Send me your female authored dark and gritty. Next Love What We Do? Join our Write Inclusive Campaign!